Gaelic "Tom an t-sabhail" - "little hill of the barn" or "Toman tuatheal" - "northern little hill". 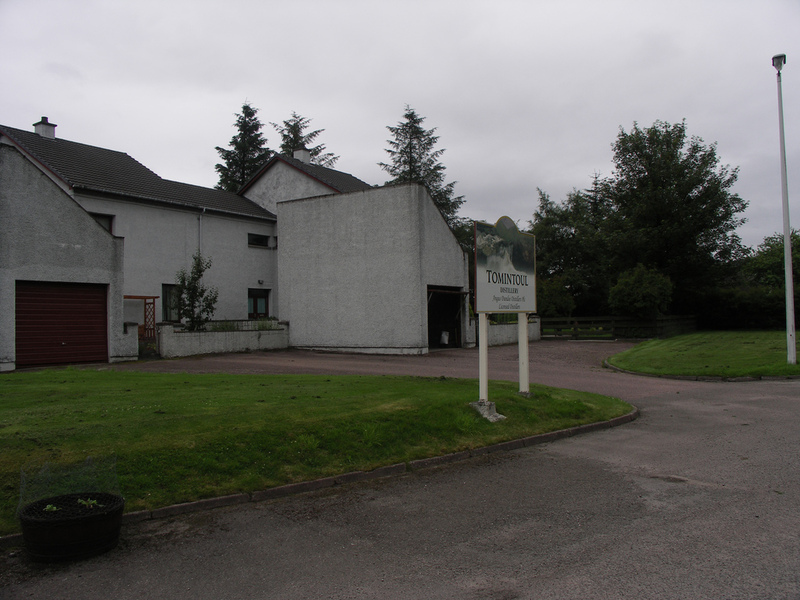 Extensive website with history of the distillery and the area it lies in. Details of the range of Tomintoul whiskies and where to buy them. Tomintoul is not normally open to the public. Having got to know several of the distillery staff at various Whisky shows, I was invited to drop into the distillery when I was in the area. I took advantage of that offer in 2007. 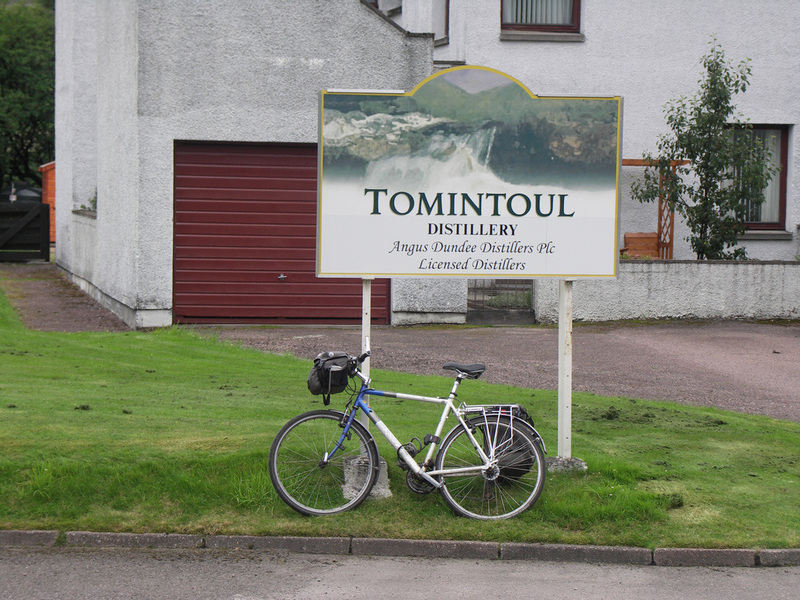 Tomintoul was a product of the 1960s whisky boom. Built by Hay & Macleod (whisky brokers) and W&S Strong (whisky blenders). Bought by Whyte & Mackay in 1975, a 12yo in a 'perfume bottle' was released in 1990, however a range of regular bottlings as single malt have only been taking place since Angus Dundee bought the distillery in 2000. Angus Dundee was founded over 50 years ago by Terry Hillman, and the firm is still family-run - the main business is still blended whisky for the export market. They also acquired Glencadam in Brechin in 2003. 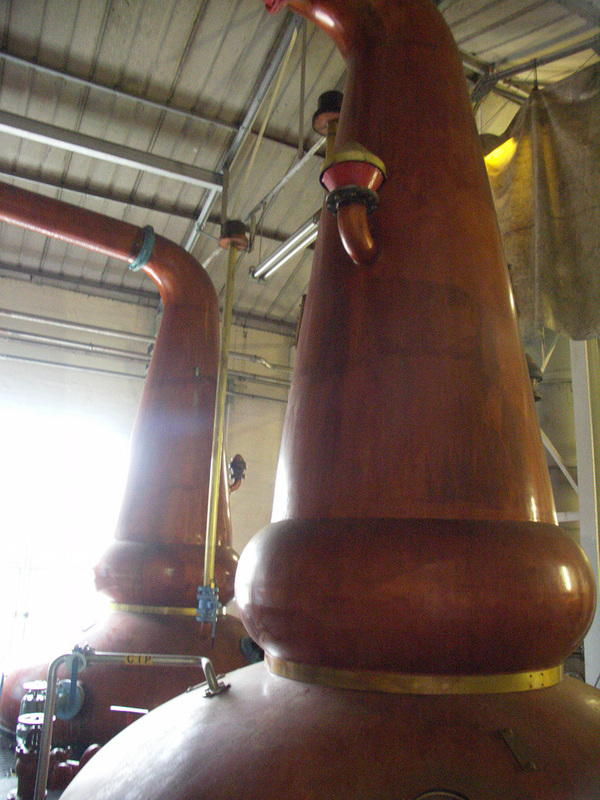 The distillery has warehouses containing some 116,000 casks and a blending centre on site. 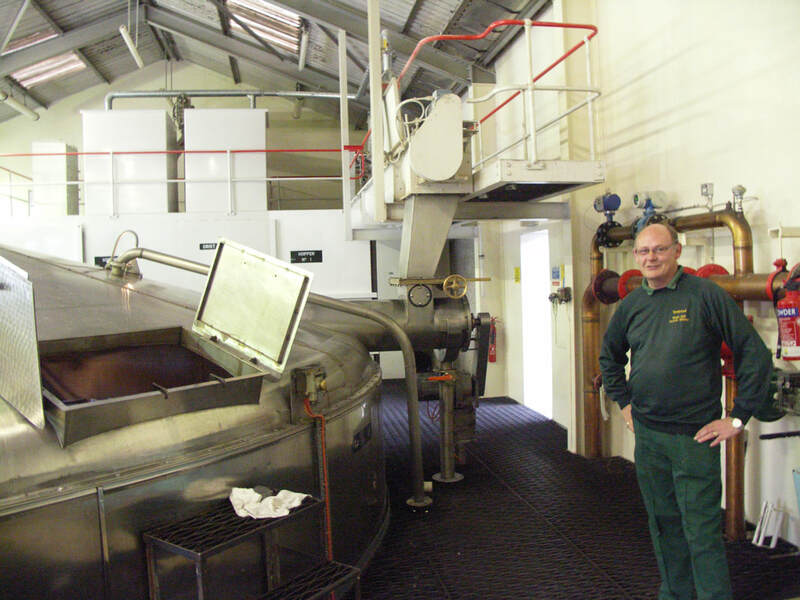 In August 2009, Tomintoul Distillery, in conjunction with the Whisky Castle and the Clockhouse Restaurant in Tomintoul created the largest bottle of Whisky - 105.3 litres! In depth description from the Jolly Toper (Mark from RMW Edinburgh). 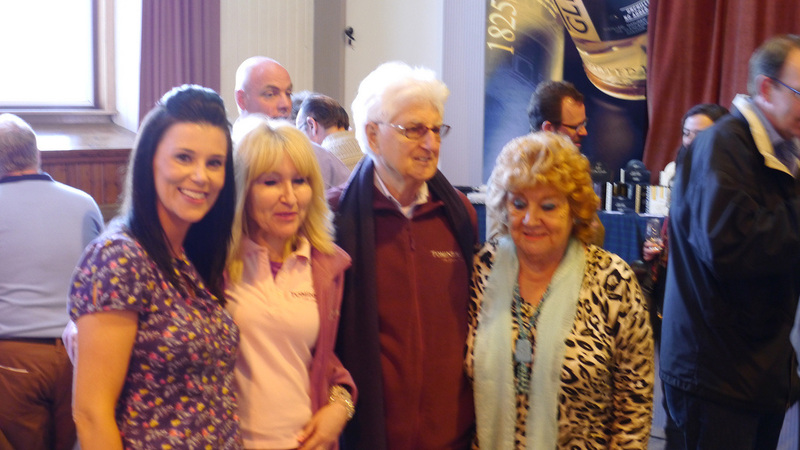 Owners visiting the Dufftown Whisky Fair with Niiki Brand from the Distillery. Nearest National Rail stations are Elgin (ELG) (30 miles), Keith (KEH) (28) or Aviemore (AVM) (26). Live train times: ELG, KEH, AVM. The preserved Strathspey railway runs to Boat of Garten (20) and Broomhill (17) - 3 trips a day, most days in Summer. The preserved Keith & Dufftown railway runs up to 3 trips a day at weekends in summer, some Fridays too & during Speyside Festivals to Dufftown Station (18). Tomintoul is 8 miles from Bridge of Avon, near Ballindalloch on the A95 - follow the B9008 to Bridge of Livet, then the B9136 (there is also a short cut through Drumin shortly before Bridge of Livet), and 5½ miles from the village of Tomintoul - take the A939 to (a different) Bridge of Avon and join the B9136 there. Tomintoul's range includes age statement bottlings at 10, 14 (46%), 16, 21, and 25 (43%) years old; a 1976 vintage & 15yo Portwood (46%) and 12yo Oloroso Sherry finishes (40% unless otherwise stated); NAS Tlàth; 40yo Quadruple Cask (43.1%); and NAS Five Decades (50%). 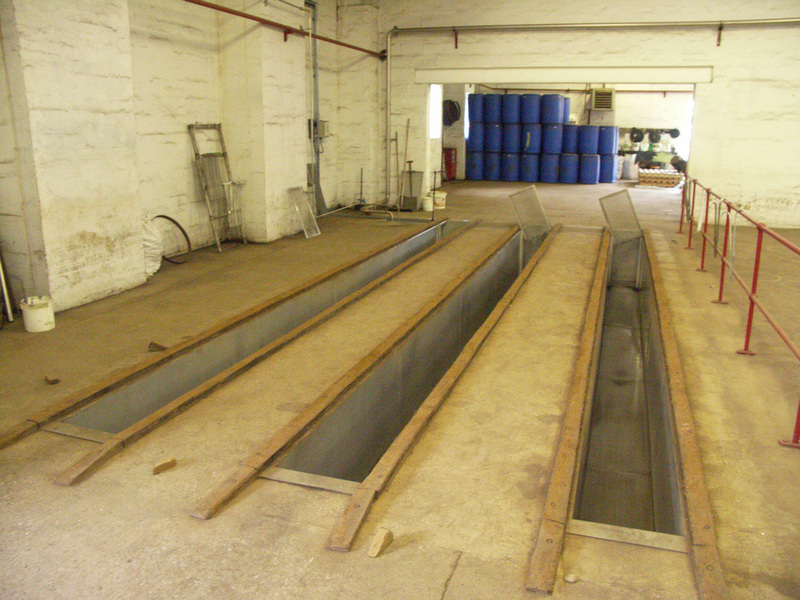 In addition Tomintoul produces a peaty whisky (55ppm) for 3 weeks a year, which is used for Peaty Tang (NAS - 40%), and Old Ballantruan (NAS and 10yo), both at 50%. Not too many independent bottlings of Tomintoul. Not one of Scotland's most picturesque distilleries! Photos on this page were taken by me. Click on photo to enlarge. 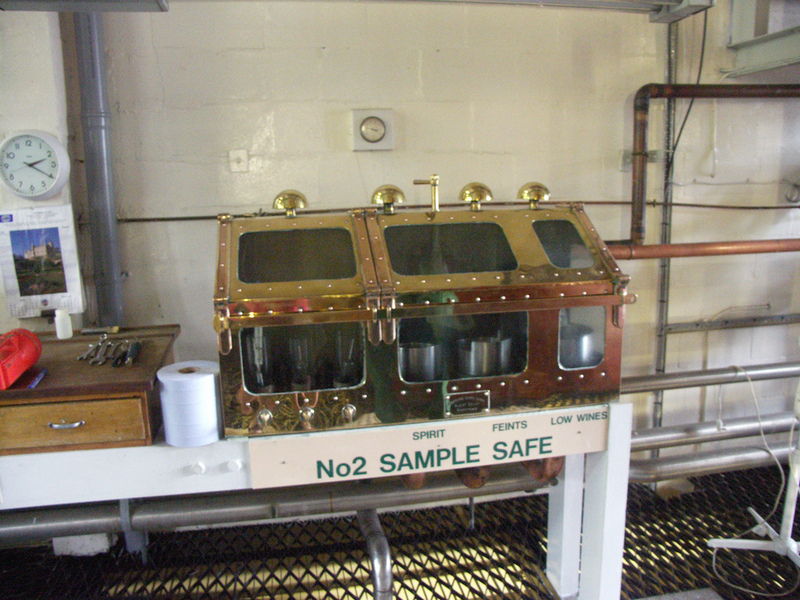 Full size versions of all my photos of Tomintoul Distillery are available on Flickr.